In ancient Sparta the diet was typically basic and limited by the local resources of the Greek landscape. The Spartans were not as in love with their food as most of ancient Greece, and their diet was more humble and basic. The Spartans as with everything put their military above all, and their food and diet was no different. Their theory on food meant that they ate to be strong and healthy, and not to over indulge. As is now, over indulgence would have had a negative effect on not only the physiques of the Spartan warriors but also their energy levels, and as we already know peak fitness and performance was essential to be a Spartan citizen. Natural food, grown locally by the helots was were most of the Spartan diet would come from. The Spartan society was very self sufficient and this shines through in their approach to food. Common foods were meat and fish, with a wide variety of animals and fish consumed. Honey, milk, cheese and bread were also common, as were figs and wine. And of course fresh fruit would grow well in the warm Greek weather, providing the Spartans with lots of variety albeit rather basic. Of course, the Spartans as they were warriors, they were also fine hunters, not only could a Spartan strike fear into any enemy in the distance, I’m sure they had the same effect on their prey. The Spartans would use any animal they hunted for food, even though it was also considered a sport to them, they would not waste any fruits of their hunt. The Spartan diet would regularly consist of meat, including pigs, goat, and sheep. Fish would also be eaten when available, and of course and spoils from hunting would be on the menu too, including animals like wild boar and rabbits. Dairy was also commonplace in the Sparta diet, with milk sourced from local sheep and goats. The milk would additionally be used to create cream and cheese for use in various dishes, and sealing cheese was a well known skill in all of Sparta. 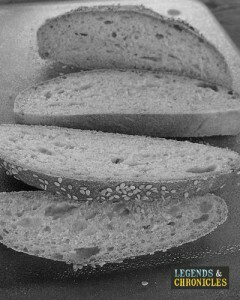 The Spartans did eat bread, although it was not a staple of their diet. Typically barley was used over wheat to create bread, although it is believed that on special occasions wheat bread would be made. The legendary Spartan black broth or black soup is thought to have been a staple food for the Spartan community, although certain historical information points that is was not a common dish. Either way it’s one of the most well known Spartan dishes. Fabled to be created from boiled pork, with salt, vinegar and blood, this thick soup or broth was not considered a delicacy but rather a means to an end. Whether the Spartans believed that this broth would give their soldiers strength or power, we do not know and unfortunately there are no detailed surviving recipies. 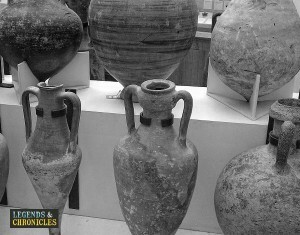 Wine was popular in ancient Sparta, liked but never to be over indulged in. The Spartans would drink wine with or after most meals, although they typically watered the wine down because as we alluded to before, being drunk in Sparta was not considered appropriate. The Spartans considered drunkenness a sin of sorts, they believe it had negative effects on not only the mind but also the body, and of course their warrior nature could be compromised by its effect. Just like their attitude to war and physical excellence, the Spartan diet was just another component of their life. The diet was treated as just that, a diet and not an indulgence. The Spartan diet could be considered quite healthy for the time, and even nowadays would be a good diet with a balance of foods with no major over indulgence. As with everything the Spartans were organised and regimented and their diet was too.